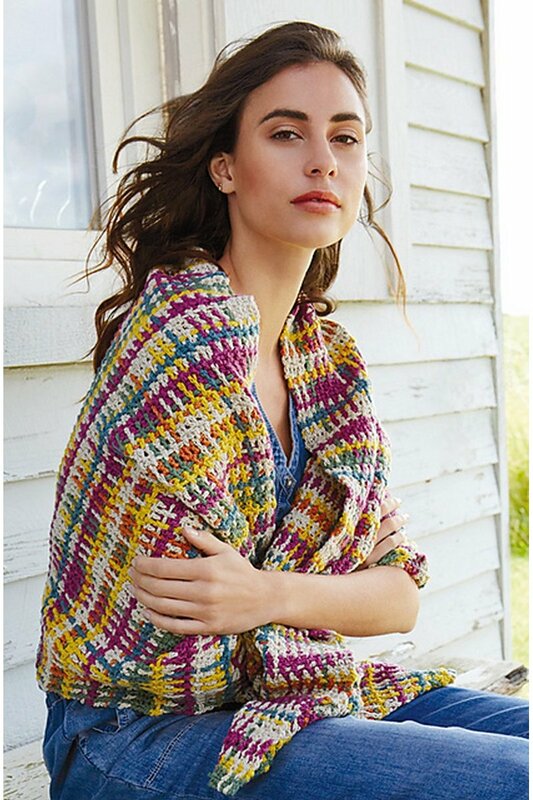 Taken from: Rowan Magazine 63 "Eshana"
Size US 7 (4.5mm) crochet hook (or size needed to obtain gauge) is required but not included. Finished Measurements: Approximately 22" (56 cm) wide x 78.5" (200 cm) long after blocking. Gauge: 18 stitches and 8 rows = 4 inches in mesh pattern. Colors shown are Creative Linen in 621 Natural and 647 Mustard, and Softyak DK in 233 Prairie, 237 Meadow, 241 Lawn, and 235 Pampas.